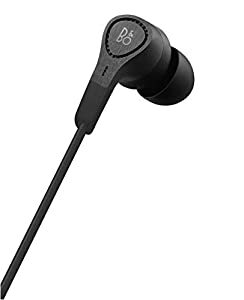 Product Description, Essential In-ear Headphones Shut out the busy outside world and immerse yourself in pristine Bang & Olufsen Signature Sound with the Beoplay E4 advanced Active Noise Cancellation earphones. 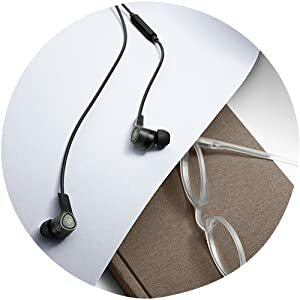 These lightweight in-ear headphones offer an unobtrusive way to enjoy an escape from hectic city life whenever you need it. 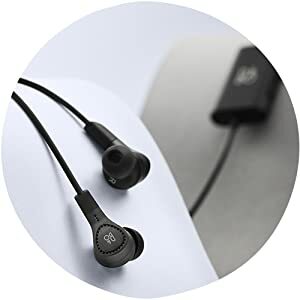 Immersive Sound Equipped with next generation Active Noise Cancellation (ANC) technology, E4 headphones utilise two microphones to accurately and effectively reduce ambient sounds on both high and low frequencies. When you’re ready to let the outside world back in, one quick gesture turns on transparency mode so you can safely reconnect with ambient noises around you. 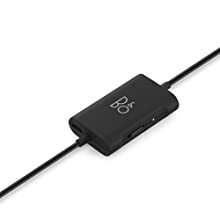 The advanced ANC functionality lasts up to 20 hours per charge, and you can always listen at any time without ANC, even when the charge is exhausted. 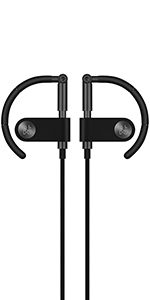 Luxurious Design Designed by Danish industrial designer Jakob Wagner, these simple but elegant headphones are crafted with an aesthetically minimalist look and a truly comfortable fit. 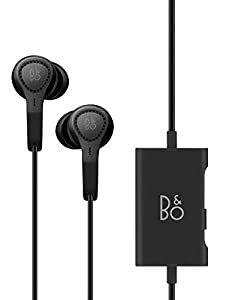 An essential accessory for either the daily commute or extended airplane travel, these lightweight and durable earphones are made with premium materials to ensure a premium listening experience. Lightweight Comfort The external housing on the earbuds consists of an ultra-light, stainless and scratch-resistant metal that is hairline brushed on the front to catch and reflect light and pearl blasted on the side for contrast. The inner housing is made of ergonomically-shaped polymer that feels good against your skin. Soft memory foam on the ear tips ensures a secure and comfortable fit and four sizes of silicone ear tips are also included. The inline remote with a durable aluminium and rubber finish lets you conveniently adjust volume, change tracks and answer calls on the go. Flexible Control Enjoy total control and flexibility in noisy environments whether you’re listening to a favourite song, discovering a new podcast or making an important call. An essential component in your busy life, lightweight E4 headphones won’t weigh you down as you move through your busy schedule. 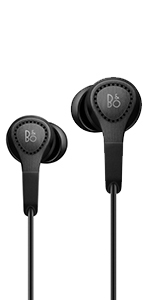 Firmly grounded in decades of design excellence, craftsmanship and product innovation from Bang & Olufsen, the Beoplay range interprets the same values for a new type of contemporary product aimed at design-conscious, active cosmopolitan music lovers. 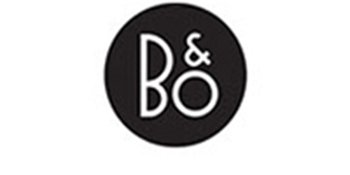 B&O transforms your listening experience with better sound and acoustic performance wherever you go, thanks to in-home music systems, portable speakers and headphones that integrate seamlessly into everyday life. 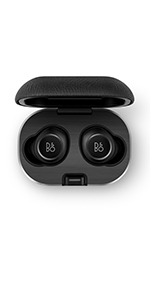 Beoplay E4 Earbuds Offer Advanced Active Noise Cancelling, Precise Sound, Unparalleled comfort and a User-Friendly Inline Remote. 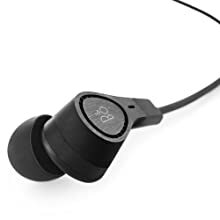 With an aesthetically minimalist design, these headphones put advanced ANC in your pocket so you can immerse yourself in music with up to 20 hours of advanced ANC playtime. When you need to hear ambient sounds, change to Transparency Mode with one quick gesture that turns the world back on. 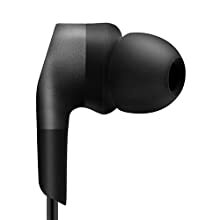 E4 in-ear headphones are an essential component in your busy, everyday life, bringing you serenity when you need it. 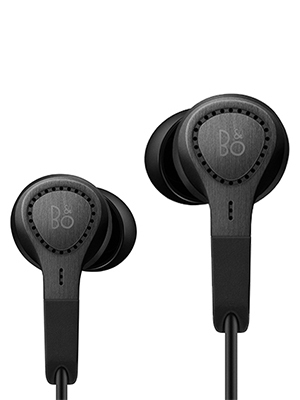 Beoplay E4 headphones are equipped with a sleek and user-friendly inline remote that allows for hassle-free device control on the go. The durable aluminium and rubber finish provides added tactility as you conveniently adjust the volume, mute sound, switch tracks and answer or end phone calls via this handy remote. A BUILT-IN RECHARGEABLE BATTERY provides up to 20 hours of ANC playtime per charge. 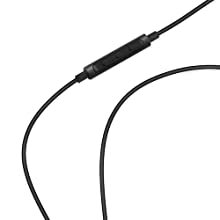 Of course, even if the ANC function isn’t charged, you can still listen with these wired headphones at any time. 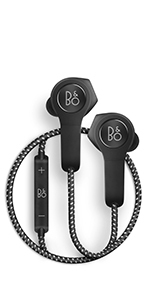 EXPERIENCE UNPARALLELED COMFORT: These in-ear headphones feature Comply memory foam ear tips. Silicone ear tips in four sizes are also included to ensure a secure and comfortable custom fit. 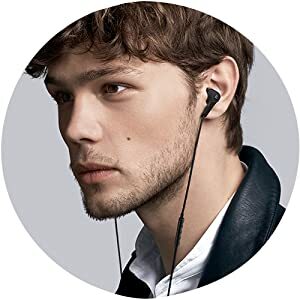 MINIMALIST AESTHETIC: Lightweight, durable and scratch-resistant metal on the ergonomic earbuds meets sleek aluminium and rubber finishes on the user-friendly inline remote. Morphy Richards Evoke Jug Kettle Special Edition 104414 Jug Kettle and Rose – Great kettle, though a bit loud.